Store BLOG of Shadows: New healer schedules! Welcome to Nixsy, our new reflexologist! Tuesdays from 11am to 5pm. Reflexology is a modality in the healing of the spirit via the feet and their life experiences. It is widely known to significantly reduce stress, and can also help heal body memories. Nicole has been practicing Reflexology since 2008. Reflexology is helpful for: immune-strengthening, detoxification, deep relaxation, the moving of the lymphatic system, pain reduction and management, better sleep cycles, and more. Pricing: $35 per half hour; $70 per hour. Valerie, our osteopath, changed her hours! Thursdays from 4pm to 8pm. Valerie offers osteopathy treatments for the betterment of the body, mind and spirit. Treatments of a duration of 60 minutes are recommended, although half-hour treatments are also available. She reviews your health status thoroughly to be able to give the best treatment possible according to your state. RITMA receipts for insurance purposes are available. Osteopathy is an alternative medicine that addresses problems of the musculo-skeletal system, similar to massotherapy and chiropractics, but it can also address problems of the organs and the viscera, the nervous system, circulatory issues, troubles of low energy and bad sleeping quality, etc. For these reasons, osteopathy is suitable for treating most health problems, whether acute, chronic, simple, or complex. Oftentimes, osteopathy is the "last resort" for someone, as some doctors suggest osteopathy to their patients when they run out of the "regular" solutions. It may well be the only method that can alleviate fibromyalgia, irritable bowel syndrome, anxiety, and other complex conditions, as western medicine tends to focus on the symptoms but not the possible causes. However, one does not have to wait to suffer from a chronic complex condition to seek osteopathic treatments. Osteopathy is a wonderful preventive method which may help younger adults avoid the development of more serious issues later on. Osteopathy gives the power to the patient, as the patient is very active during a session, and exercises are often suggested after a treatment for long-term recovery. I suggest osteopathy to pregnant women to ensure an easy pregnancy and a less risky birthing. Newborn babies can also benefit from osteopathy, as the cranial bones undergo severe pressure during the birthing process. Some of the most common reasons someone might need an osteopathic treatment would include acute musculo-skeletal pains (often after an accident), chronic pains due to work, bad posture, or repetitive movements over several years. However, other treatable issues include such things as blocked sinuses, digestive troubles, arythmia, insomnia, stress, or even infertility, which can be diminished or solved with osteopathy. Monika is available on Fridays! 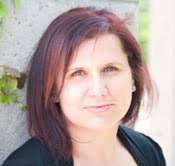 Monika is a certified Reiki practitioner, accredited and a member of the Canadian Reiki Association. She has been interested in energy work for over eleven years, specializing in Reiki since 2007, and also experienced with different modalities of energy work. Treatments offered for both adults and children. 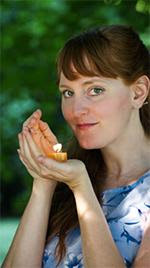 For more information, visit Monika's website at http://holisticenergy.ca. Pricing: $35 per half-hour; $75 per hour.